Kick your shoes off, get comfy with the camera and be yourself...together. 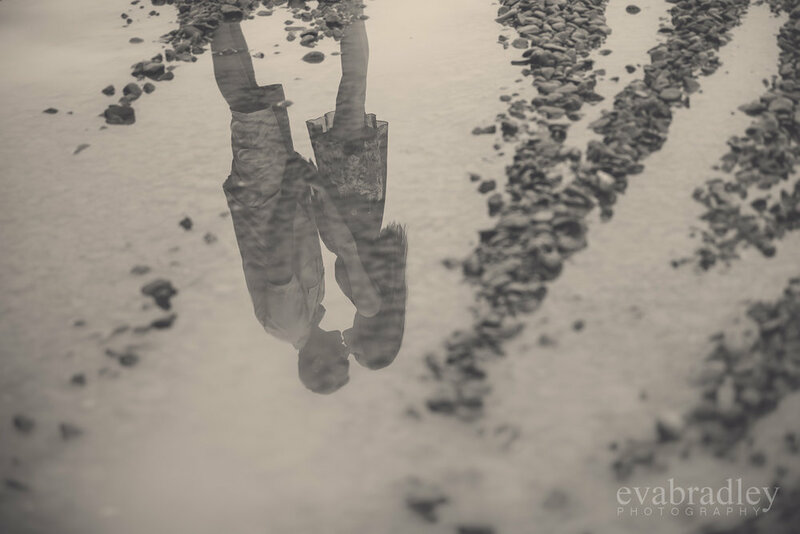 Engagement shoots give you a special opportunity to create the first bit of family art without the huge emotional and time pressures of a wedding day. There's no best man wolf whistling when you give each other a sneaky kiss for the camera, 100 people aren't waiting for you to be done with your photos so they can eat dinner. We don't have to worry about getting a big white dress dirty and we can pick the place, the time and...most importantly...the light. This is your chance as a couple to create a little history, and to build a rapport with us and our cameras so that on your wedding day you know how to be together in front of a camera, and with us. Even if we aren't shooting your wedding day, or you haven't decided if you'll have one yet....a session like this is a must-have for all couples who really dig each other. I believe passionately in the enduring value of beautifully printed professional images which are then custom-framed. However it has become extremely difficult to source high quality, accurate printing that won’t fade. So although you have the digital images to print how you wish, I encourage you to make use of printing and framing service, using only Ilford textured cotton rag fine art paper. Make your memories last beyond your next hard-drive crash and become enduring bespoke art pieces for your home. Choose from three different framing styles; matted, unmatted (image fills the frame) or with a floating torn edge. Please note, frame size defines the aperture area/print size, not the outside area of the frame.